When one thinks about the demonic characters that dominated the twentieth century most people do not focus on the impact their lives have had on their offspring. 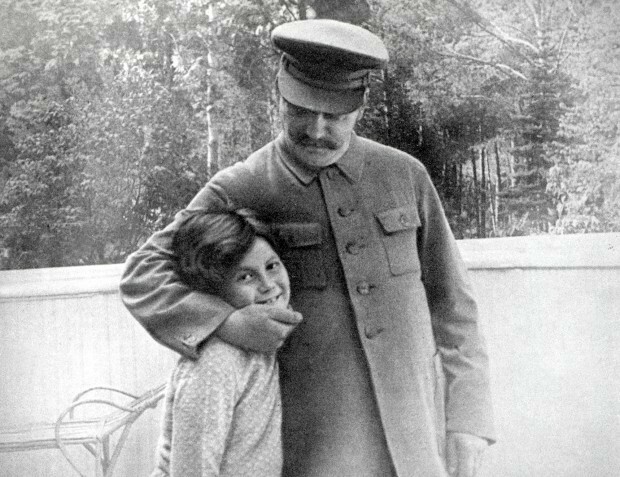 But with Rosemary Sullivan’s remarkable new biography, STALIN’S DAUGHTER: THE EXTRAORDINARY AND TUMULTUOUS LIFE OF SVETLANA ALLILUYEVA we have just such a book. Sullivan’s narrative and analysis is thoughtful and reasoned and by the conclusion of her 623 page effort the reader will feel they have entered a surreal world that explored not only Stalin’s child, but the author of the cult of personality that dominated Russian history from 1924 until his death in 1953. What emerges is a portrait of a child who is raised in the ultimate dysfunctional family. Svetlana had to endure the suicide of her mother, Nadya in 1932, the erratic emotional roll a coaster that was her father, and the demands of being the daughter of a man who was responsible either directly or indirectly for the deaths of between 20 and 40 million people. 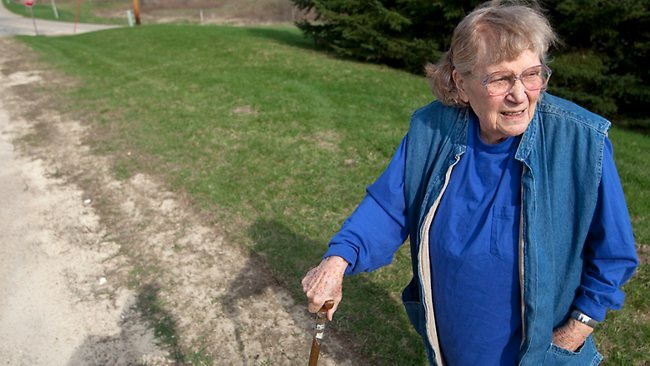 This leads to a flawed adulthood that saw four marriages, countless love affairs, and a wandering nature that saw her abandon her own children when she first defected to the United States in 1967, later returning to the Soviet Union in 1984 and again in 1986, then traveling to England and finally dying in the United States in 2011. Sullivan has done an extraordinary job in piecing together Svetlana’s life. Relying on her subject’s own published writings and private papers, interviews, and other documents she has prepared an incredible story that would be difficult to imagine. Sullivan begins by describing Svetlana’s defection to the United States which she correctly begins a pattern of escapism and the need to fill an emotional hole in her psyche that is repeated throughout her life. From this point on Sullivan successfully transitions to a description of a childhood growing up in the Kremlin and her interactions with her mother, Nadya, a deeply flawed woman who finally succumbed to the pressures of dealing with an abusive husband by committing suicide when her daughter was only six. What amazed me was Sullivan’s description of the environment which Svetlana was raised. Stalin’s household mirrored that of Tsarist royalty that the Bolshevik revolution was designed to replace. Nannies, special schools, summer homes, pseudo palaces, tennis courts were all part of the picture. Svetlana spent little time with her mother, and Sullivan remarks that her father was more affectionate toward her than her mother. The result was that Svetlana became an emotionally needy child, a state of mind that would dominate her actions for the remainder of her life. Sullivan is able to weave the major events of the Stalinist regime into her biography. Purges, collectivization, show trials of the 1930s, the Nazi invasion of June, 1941, the devastation caused by World War II, and the Cold War are all portrayed in detail through the lens of Stalin’s daughter and the effect they had on her life. The disappearance of family members and others who made her childhood secure made it very difficult for Svetlana as she had no idea why things were happening. Her mother’s suicide was especially difficult, and once she learned the truth as to what occurred during the war her view of her father radically changed and she began to perceive him as the monster that he was. 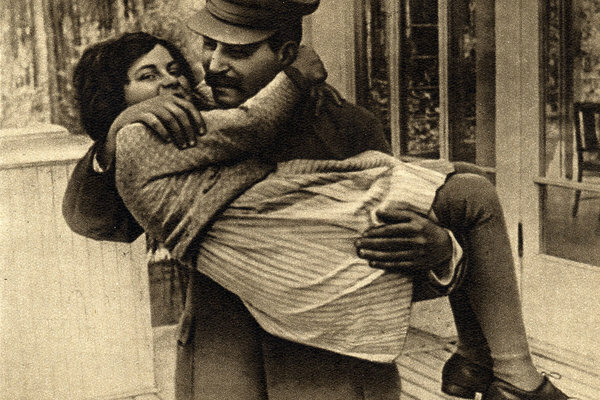 Stalin’s impact on his daughter’s emotional life was profound as he prevented her from pursuing certain relationships, forced her to attend Kremlin events with his cronies late at night in the Kremlin and perform for them, forced her to attend certain schools, but most importantly played a game of withholding his parental love on and off throughout her childhood. Sullivan explores the most important aspects of Svetlana’s journey as she prepares her first memoir TWENTY LETTERS TO A FRIEND. The book explores her “cruel bereavements,” disappointments and losses as she describes her childhood and personal relationships. The book revealed no state secrets and had no political agenda apart from condemning the Stalinist regime. The book would become her financial ticket for the future, especially after she falls in love with Brajesh Singh, an Indian raj who was chronically ill. They would marry, and Svetlana’s desire to return his ashes to India after he died leads her to defect to the United States. The author’s discussion of Svetlana’s defection to the United States after visiting India are fascinating. 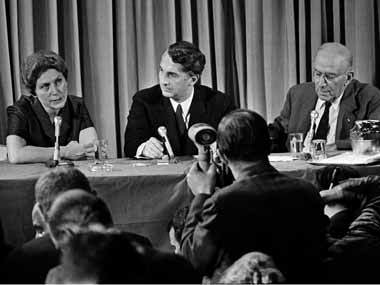 The diplomatic machinations among the Indian, Italian, Swiss and US governments reflect the political dynamite she represented visa vie the Soviet Union. The work of George Kennan, the esteemed American diplomat and historian, who oversaw Svetlana’s life for decades is accurately described as he locates a publisher for her work and deals with the fallout from her defection and the complexity of her plight. Sullivan’s analysis of Svetlana’s psyche are credible as she describes all aspects of her journey from abandonment of her family in Russia, to her settlement in the United States , and the Soviet campaign to defame her as a capitalist who was playing on her father’s name to become rich. Svetlana’s journey throughout this period was rife with emotional and financial failure as she had no clue how to manage her life. This inability to control herself would lead to numerous personal disasters that make the reader feel a great deal of pity for Svetlana. Sullivan’s descriptions of Svetlana’s many love affairs from the prism of her constant anxieties and fear of loneliness is eye opening. She examines each love affair whether with the Princeton historian Louis Fischer or her four husbands and their impact on her personality and self-worth. The most devastating relationship was her marriage to William Wendell Peters, an architect who was tied to the Frank Lloyd Wright Foundation at Taliesan located in Arizona, a communal situation controlled by a cult leader, Olgivanna Wright, the famed architect’s wife. Svetlana’s marriage would result in financial ruin, a daughter, Olga, and divorce. Svetlana’s life after Peters was dominated by how to raise her daughter which contributed to her wanderings that would eventually lead her to England, a return to the Soviet Union, back to England, and eventually the US. Throughout the book the image of her father seems to dominate. The author’s discussion of Svetlana’s second book ONLY ONE YEAR encapsulates her situation as she continued her struggle to maintain her reputation against Soviet attacks. The book is more than a recapitulation of her voyage from India to the US. She revisits her past as she excoriates her father’s actions and makes the argument that her father was solely responsible for events. She lays part of the blame with those who cooperated without whom the events of the 1930s could not have occurred. She commits the blasphemy in Soviet Communist Party eyes of linking her father’s behavior with Lenin, who she argues created the atmosphere for Stalin’s crimes to be carried out. It is interesting to witness how the Soviet government’s attitude toward Svetlana evolves throughout the 1980s and 1990s as Mikhail Gorbachev tried to implement glasnost and perestroika. Even as leaders of the Soviet Union devote less and less attention to Svetlana’s situation over time, she remains paranoid about what they might do to her to the extent that when she is approaching the end of her life she wants to make sure that the Russian government cannot take advantage of her demise. Sullivan describes a woman who is caught in a cycle of emotional disasters throughout her life as she tries to establish meaningful relationships. Svetlana rebounds from one crisis to another as her confidence suffers from extreme highs and lows. Her impulsive nature and naiveté born of a need to fill the emotional abyss that dates back to her mother’s suicide appears to the underlying psychic motivation of her erratic behavior. For Svetlana setting the historical record straight concerning her life’s story came to dominate her life once her marriage to Peters collapsed. In the end Svetlana’s perceptive nature in dealing with Russian history is offered as she correctly warns the west of who Vladimir Putin really is and what he hoped to achieve. From her viewpoint, a restoration of Russian power by appealing to Russian nationalism, a prediction made in the late nineties and early two thousands that has come to pass. In the end Svetlana Alliliuyeva’s life can be seen as a tragedy born of events and personalities that she could neither control nor understand. Sullivan has written an exceptional biography dealing with another victim of Joseph Stalin’s reign of terror, his own daughter. For those who enjoyed Jason Matthew’s first espionage thriller, RED SPARROW, his second venture in this genre is as exceptional as the first. Matthews, a veteran of thirty three years in the CIA as a Chief of Station, a clandestine operative collecting national intelligence, a recruiter in many dangerous regions of the world, and many other roles has overcome the problem of following a successful first novel, with a second, PALACE OF TREASON, that in many ways is more interesting and presented in greater depth than the first. Many of the characters of RED SPARROW reappear; Simon Benford, a CIA veteran who controls all counter intelligence operations; Nathaniel Nash, the CIA covert operative and his Chief of Station Tom Forsythe, and his deputy Marty Gable; Dominika Egorova, a Russian trained “sparrow,” one who excels in the martial and sexual arts, and is a synesthete, a talent that allows a person to see auras around a person’s head that “allow them to read their passion, treachery, fear or deception;” Alexei Zyuganov, the Chief of Russian Counter Intelligence, Department of Service Line KR, a psychotic sadist who is jealous of Egorova; and Vladimir Putin, who plays a much larger role in PALACE OF TREASON. There are many new characters in Matthews’ latest effort and they enhance the plot line and evolve as principle players as the story unfolds. We are presented with a new handler for Dominika, a rookie agent, Hannah Archer who is exceptional in her spy craft, but also becomes part of an interesting love triangle; and Yevgeny Pletnev, a deputy to Zyuganov who succumbs to the wiles of a red sparrow. The novel begins with the recruitment of Parvis Jamshidi, an Iranian physicist and expert in centrifugal isotope separation. Both the CIA and Russian SVR are interested in him and learn greater details of Iran’s nuclear program. For Russia it is seen as an opportunity for Putin’s kleptocracy to assist the Iranian program as a means of getting back at the United States, and as a bonus siphon off millions of rubles from any transaction. For the United States, a plan is instituted to sabotage a German W. Petrs seismic isolation floor that would cause a major explosion, thus setting back the Iranian goal of acquiring nuclear weapons by at least five years. In developing this story, Matthews employs a major secondary plot involving a disgruntled CIA bureaucrat, Sebastian Angevine, an Assistant Deputy for Military Affairs who is passed over for a major promotion, who believes in a lifestyle that his government salary will not support. Angevine takes the initiative in becoming TRITON, a Russian operative who is a threat to the Iranian operation and Dominika, who is imbedded inside the Kremlin as an American agent. 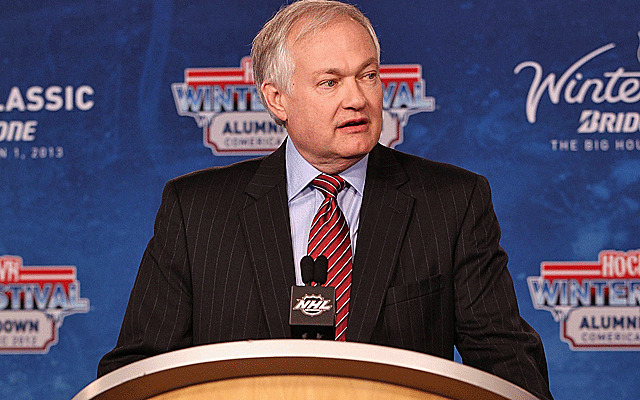 Matthews’ expertise in spy craft is without question. His details of surveillance and counter surveillance techniques are remarkable in their intricacy and realism. Through the experiences of Hannah Archer, Matthews provides an amazing description of how an operative is trained in surveillance techniques that no other author has attempted. The reader feels as if they are in the “cross hairs” of an operative trying to remain “black” and away from their pursuers. He takes the reader through the streets of Moscow, Washington, and Athens as operatives try to meet and practice their tradecraft. Through the eyes of Sebastien Angevine we see an individual on the “inside” of the CIA try to develop a strategy to offer themselves to Moscow. Angevine, a former NCIS polygrapher is fully cognizant of the approaches made by Pollard, Ames, Hanssen, and Walker, and how they became sloppy and were exposed. He develops sophisticated techniques to avoid their mistakes and will become a very effective mole. An underlying theme that Matthews pursues is the evolution of CIA and SVR espionage practices. Especially interesting are the changes in interrogation techniques employed by the Russian SVR as compared to old KGB practices. Matthews provides details of how the new SVR goes about its craft, and contrasts it with KGB methods. The reader is provided a unique window into spy tradecraft as it has changed from a lesser technological Cold War era, to the enhanced technological sophistication of today. The “Putinization” of Russian intelligence is very clear, as all operatives fear making a mistake that could embarrass the Russian President and the consequences for their careers and probably their lives. If you think you might be interested in a novel that presents chilling scenes that feature a psychotic torturer/executioner and his protégé, two agents deeply in love separated by the deep cover of their respective intelligence services, a megalomaniac who is hell bent in restoring his nation to the preeminent position it held over two decades ago, bureaucratic incompetence at its worst, modern spy craft and the application of its many techniques, and a well written and well thought plot, then PALACE OF TREASON is for you. The narrative will keep you interested until the last paragraph and I won’t let you in on the ending, but parts of it may not be that farfetched. If you were going to create the proto-type writer of espionage thrillers you would want someone with experience in the art of spy craft. Someone who had engaged in clandestine collection of national security intelligence, who recruited operatives in the Soviet Union, Middle East, and East Asia. You would want a person who had been a CIA Station Chief, managed covert operations, and worked with American allies in counter terrorism over a career that spanned thirty three years. A person with this type of background who was also a proficient writer would be heaven sent for espionage novel aficionados. It is our good fortune to have such a person in Jason Matthews, whose first novel, RED SPARROW fits all the criteria of a superb thriller that keeps the reader fully engaged from cover to cover. The story line in Matthews’ novel centers on a Russian spy master who is the Chief of the America’s Department in the SVR, or clandestine service. This individual, code named MARBLE has been in the employ of the CIA for over fourteen years and is indispensable for American national security. His handler, a young agent, Nathaniel Nash is forced to leave Moscow because of a bumbling CIA Chief of Station and winds up in Helsinki where the story unfolds as a “red sparrow,” a Russian trained agent in the sexual arts, as well as intelligence, is assigned to develop a relationship with Nash in order to learn the identity of MARBLE. From this point on the plot revolves around the relationship between Nash and Dominika, the “red sparrow.” Further it is intertwined with Russian attempts to uncover the mole in their intelligence service that is also complicated by a sociopathic and self-absorbed American senator who is Vice Chair of the Senate Select Committee on Intelligence who happens to be working for Moscow. Perhaps the most fascinating part of the book is Matthews’ rendition of how Nash and Dominika try and recruit each other by applying their American and Russian training. The author focuses on their belief system and doubts, and candidly explains how they affect the operational assignments. Their relationship will form a major component of the plot, but it is only part of a larger more complex web that the author creates. The dialogue between characters provides a wonderful vehicle for Matthews to present his own biases that date back to his intelligence career. The infighting and lack of cooperation between the FBI and CIA is apparent and will lead to a botched scenario that comes very close to ruining a very promising CIA operation. Not to be outdone, within the Russian intelligence apparatus we witness a great deal of careerism by important characters and the conflict between the old Cold War KGB methodology and the more modern technocratic approach that the SVR tries to employ. Matthews is not very objective when it comes to the CIA, but to his credit he does an exceptional job discussing the “turf wars” that exist in the bureaucratic structure of intelligence. He also weaves dead drops, honey traps, trunk escapes, surveillance tactics, and a myriad of other scenarios that one would expect in a spy novel with this type of storyline.